Do you have this concern too? It is almost the end of November and that means, wedding bells are ringing, everywhere and all the time. The planning of THE DAY takes up to a year before the wedding. The dress for her and the maids, the catering, the venue, the decoration and the seating arrangements are some of the planning that needs to be taken care of. These are all crucial details that need very thoughtful planning. What about the bride herself? Too much thinking could lead to nervous breakdown and malnutrition which could lead to the pale looking skin and lots other skin and health problems. 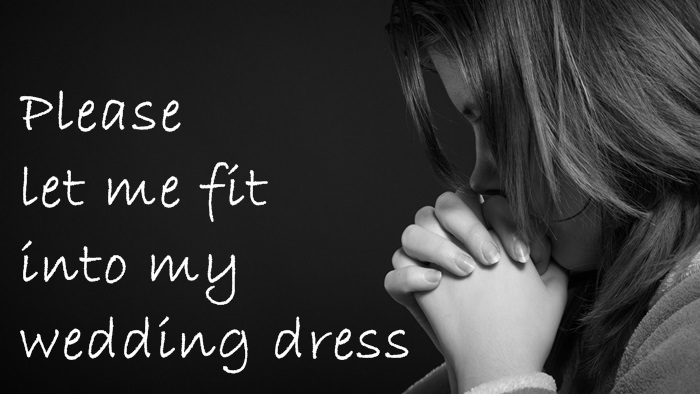 Fear you might not fit into the dress? Do not even let me start about trying to fit in into that beautiful wedding dress. Everything about the wedding revolves around the dress. Have you chosen the right cut for yourself? Here are some tips for you to make the best of your body figure (source: KashCrystals). Hence, almost all opt for The Wedding Dress Workout. 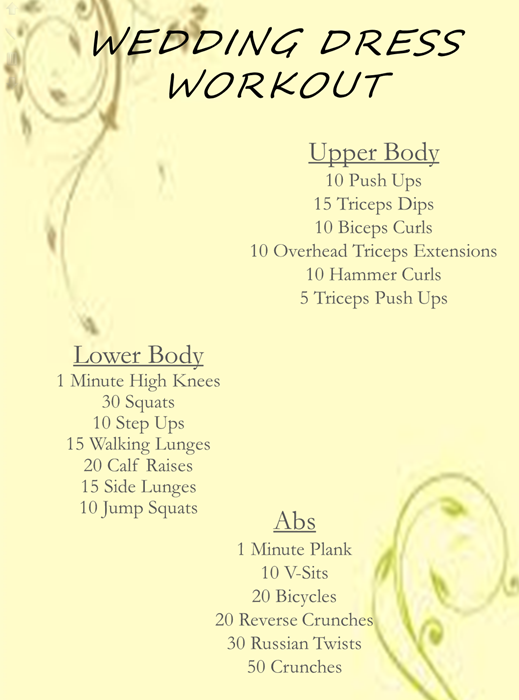 Here is a sample of a Wedding Dress Workout that I took from KickStart. If you want to burn more and look great and fit on your wedding day, use Premium Beautiful Corset during your workout. The Far Infrared Rays (FIR) that is intricately embroidered into Premium Beautiful Corset helps control weight and better complexion of the bride-to-be. The heart receives a workout similar to a 6-mile run in a 20-30 minutes of wearing Premium Beautiful Corset and the body perspires the same amount. Perspiring is a part of the thermoregulatory process that increases the heart rate, cardiac output, and metabolic rate. When FIR penetrate the skin, they come into contact with protein, collagen and fats. FIR stimulates a thermal reaction that elevates the tissue temperatures. The thermal effect causes the blood vessels and capillaries to dilate, promote a better blood circulation and the heat produced helps to rid of body toxins and metabolic wastes. Tissues are revitalized because of the improved (micro & macro) circulation. All the fats and toxins will be absorbed by the Premium Beautiful fabrics. Infrared heat improves circulation, expels dirt and chemicals and removes dead cells on the surface of the skin - thus a softer and firmer complexion. 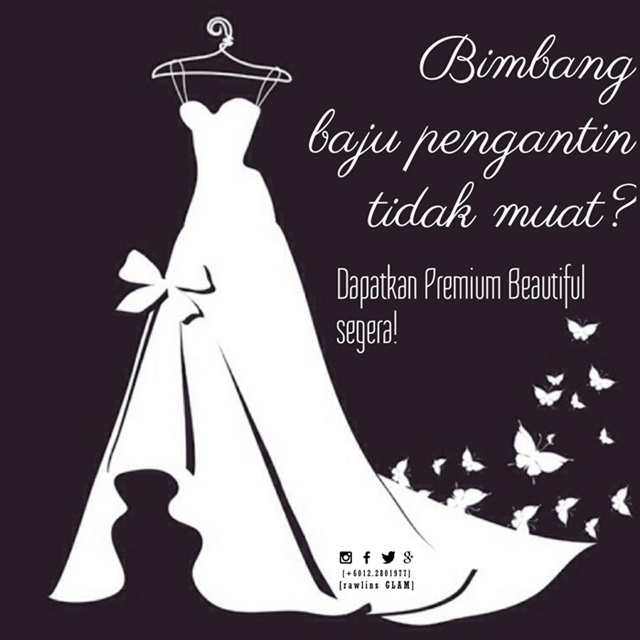 And as I have mentioned before, you can use your Premium Beautiful Corset during your confinement too (Berpantang Dengan Premium Beautiful). A good investment for a lifelong usage, don't you think so? I also have a beautiful Wedding Package for you. 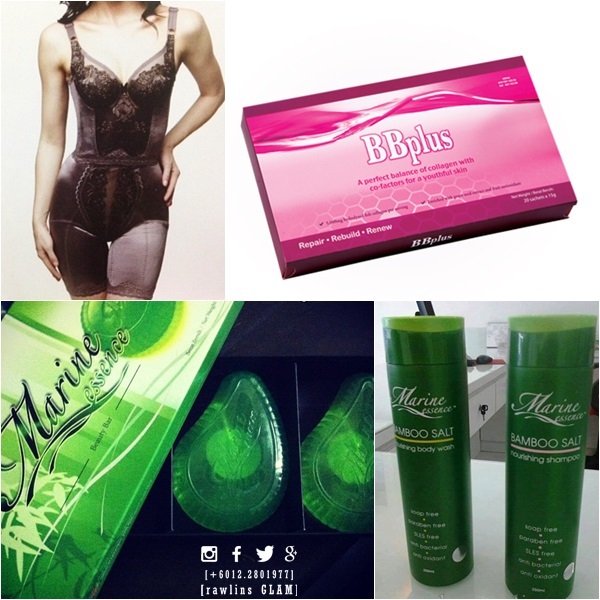 At only RM3,400*, you will receive the whole home-pampering-set to make you beautiful, inside out, on your wedding day which includes a set of Premium Beautiful Corset, 3 boxes of BB Plus Collagen, a bottle of Mineral Essence Body Wash, a bottle of Mineral Essence Shampoo and a box of Marine Essence Beauty Bar. Contact me now to get the set. Yes it is not. All brides want to look their best and in their greatest health for the day right. yeah many brides will like to look their best on the wedding day. nice to know you have a package for them to try. Wedding can be stressful as both party need to prepare in mentally first. I agree that bride prefer to look good on their wedding day but just don't push yourself to hard. go with the floor when the big day come. I know that feeling! I was so nervous a few days before my wedding back then too! Yes, be comfortable and be happy. Great wedding tips here but too late for me. I'll let my children to read instead. Ohyea, i remember my ex colleagues actually drink some fiber/slimming drink to get slimmer a year before her wedding. it's really a lot of preparation, especially Chinese marriages, have to prepare at least 6 months to a year in advance. I am sure all the bride to be wanted to look good and slim on the most important day of their life. Hope this help them to achieve their dream and make their wish come true. 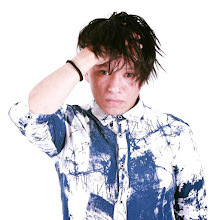 i wish your site was around when i was looking for my wedding dress last time haha. Memandangkan I takkan berkahwin anytime soon, calon pun takde, so tak boleh apply untuk I ke? Hehehe.. PB is best for everything kan? 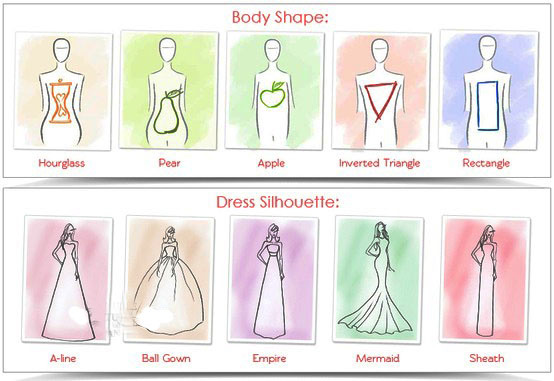 looking at the chart, I have pear shape. Yeah gaining weight is so much easier then losing it.